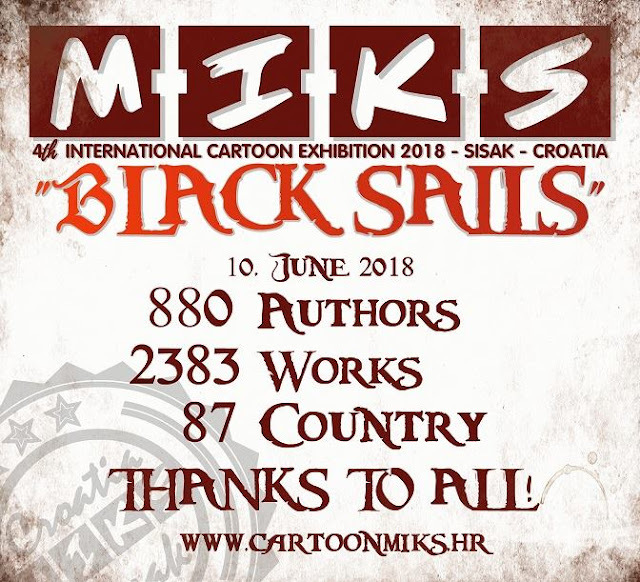 My Dear Colleagues and Friends (dear Pirates) Thank You for Supporting the 4th MIKS "Black Sails" 2018 Contest! We gathered 880 crew members from 87 countries and received 2383 cartoons. What makes us the world's largest gathering of "pirates" in 2018. Thank you from the bottom of my heart! Without you there is no MIKS! Sometimes Tortuga was the capital of pirates ... this is Sisak this year! And the one who took the rum, let him go back. Urgently!